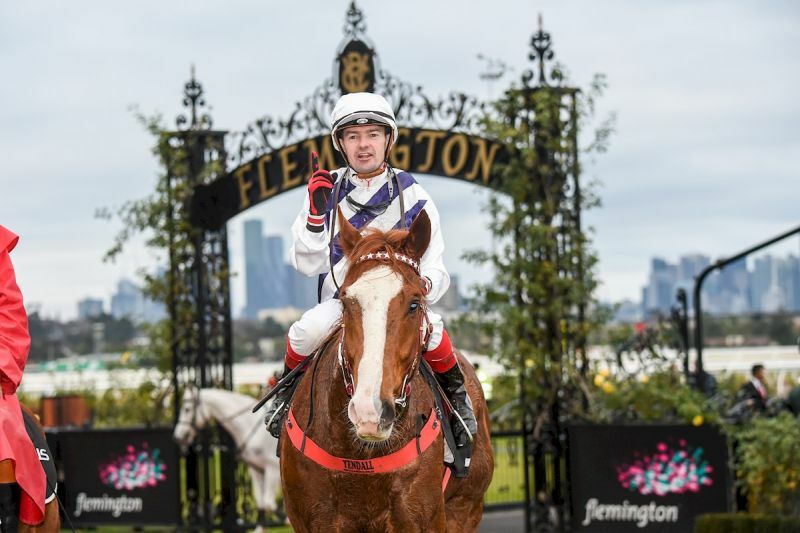 A win at Flemington on Saturday put to bed any notion the Lauriston Thoroughbred Farm bred Silentz couldn’t race against the big boys. After putting together three dominant wins for trainer Darren Weir, the up-and-coming Silentz (Snitzel) had finished down the track as favourite in the Swan Hill Cup earlier this month. But the Flemington rebound in the David Bourke Provincial Plate over 1600 metres demonstrated it was the soggy track which beat him at Swan Hill rather than any lack of quality. Silentz was part of quite some draft that Lauriston took to the Magic Millions Gold Coast Yearling Sale in 2015. The draft of four youngsters assembled by Lauriston’s James O’Brien didn’t necessarily create sales-ring fireworks, but they have punched well above their weight in terms of racetrack success. O’Brien said just like Global Glamour, Silentz was bought for just $65,000 at Magic Millions. “He was a real bargain due to a small issue on his x-rays. It was a shame so many people missed out, and it goes to show that the vets can sometimes be a bit too tough, failing horses that may have manageable issues,” O’Brien said. “I am wrapped to see him running so well and thrilled for the connections, and I think he will now step up to the next level. “The best form of marketing for a thoroughbred breeder is racetrack success, and Silentz has delivered again. Silentz’s dam Inthemix, by Easy Rocking, is a full sister to the talented five-time stakes winner Pepperwood. “We actually targeted an Oaks with Inthemix, and we thought enough of her to become part of our broodmare band,” O’Brien said. More recently though, Lauriston Thoroughbred Farm is heading in a new direction, from breeding to race, to focusing purely on breeding for the commercial sales market.